I hear a voice from a distant relative whisper (I get up and make it happen). but the squares we stomp leave our hopes scotched. This is demise, the void that lingers in the minds of earthlings. when they are drawn thinner than robin thicke’s guitar strings. the void that lingers still coz divine ammunition is concealed. that the weeds will purge ya from the prince hood that is destined. I’m in the hides of the forest seeking for one that sew nice. daily… a breed that can carry the cadence of my cardiac. This forest is so flawed because I rose but eventually fell on the orchard. but the cardinal points to the ascension. Fly bird of paradise! but still devoted to how you were brought up, rooted in the turf of sanity. the blue lit in the dark because sometimes you don’t get it how you live it. Livhuwani Mashao was born Livhuwani Takalani Mashao on March 8, 1993, in Vosloorus, Gauteng. As a young boy he was exposed to Edgar Allen’s anthology and he grew up with a great passion for poetry and music. At the age of 15 he was introduced to Nasir Oludara Jones’, Nas, music and he fell in love with his writing style, fashion sense and demeanor. Livhuwani began to write poems and raps, performing at school and church as he was being inspired by the divine life of Jesus Christ. 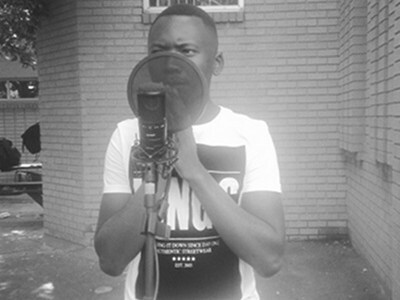 Still growing and studying theology, Livhuwani hopes to reach out to his peers in style using witty rhyme schemes and word play. Livhuwani is currently taking theatre classes at Johannesburg theatre with the well known Souht African film director, Mr. Duma Ndlovu, being his lecturer. “Stage presence is a good trait to an all-round performer” Livhuwani alludes in most of his interviews.